London has welcomed a new visitor destination to the heart of iconic Covent Garden. The three-year refurbishment has been designed to welcome thousands of UK and international visitors through the Royal Opera House’s historic doors, to experience elegant, newly-created spaces brought alive with a year-round daytime programme of events, activities and festivals, which give a taste of the inner workings of London’s famous Royal Opera House. From workshops demonstrating the magic of backstage theatre crafts, to guest artist performances and immersive events, the Royal Opera House offers a new visitor destination for tourists from the UK and beyond. The multi-million-pound refurbishment also launches a new shopping proposition in the heart of Covent Garden. A new, contemporary destination shop is curated with products that celebrate the craftsmanship of the Royal Opera House, unveiling new partnerships with pioneering young designers and heritage brands. The product ranges present a beautiful array of merchandise designed by imaginative new producers. The Royal Opera House’s main auditorium was designed in1858 by EM Barry. 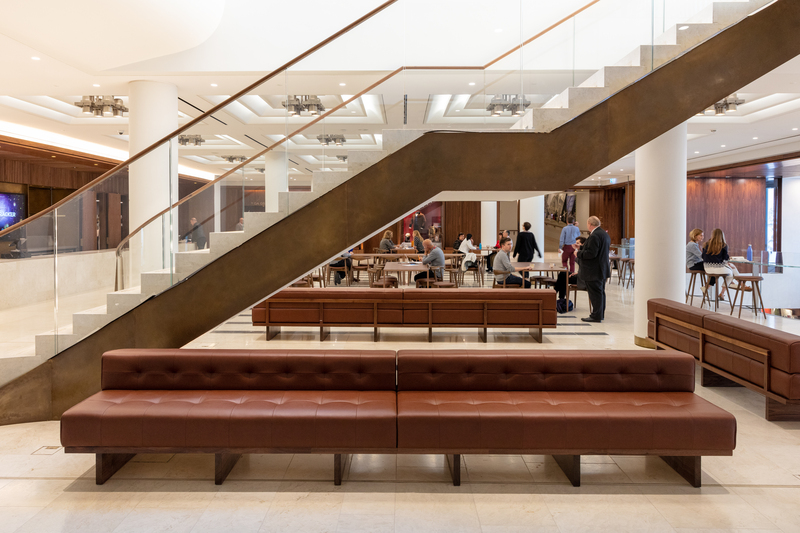 The building’s major new transformation, designed by award-winning architects Stanton Williams, unites 19th-century grandeur with 21st-century elegance. The stunning renovation also offers new front-of-house exhibitions, which will include spectacular costumes charting some of the most famous onstage episodes in the history of The Royal Ballet and The Royal Opera. The Royal Opera House also continues to offer our much-loved backstage tours. These provide intriguing insights into the world behind the stage, and give an exciting overview of the backstage areas, including costume and lighting workshops. There’s also a chance to see The Royal Ballet in rehearsals in their iconic dance studios. These popular tours take you into history to discover more about the Royal Opera House and the legends of London’s theatre land, as you hear stories about the people that have danced, acted and sung, and the performances that have taken place, in and around Covent Garden.